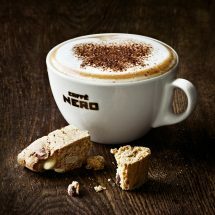 Caffè Nero is a trendy new coffee shop--perfect for students. 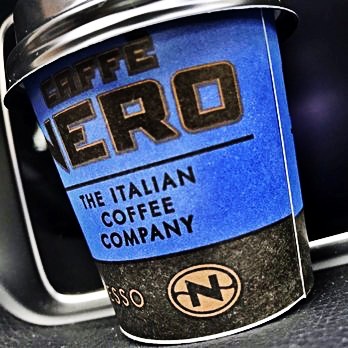 With a large menu, loads of seating, and free wifi (for up to three hours), Caffè Nero is a fun place to meet up with friends for a quick snack or a group study session. This cafe is the optimal place for a snack, as there are many baked goods and small dishes on the menu. One can order a foods from a mini pizza, a BLT, to a croissant. I tried the ham and cheese croissant and a normal coffee. Just like Starbucks, you decide how much sugar and milk to add to your drink. My ham and cheese crossiant was delicious, and it came warmed up. It seems that every dish is served warmed, so make sure to ask to have your dish cool if that is your preferance. My friend ordered a plain croissant, also warmed up, and a strawberry-banana smoothie. The smoothie was slightly watery, but still tasty. Her croissant was as delicious as my ham and cheese croissant. While my friend and I went to Caffè Nero try the food, many other people brought their study materials. This new cafe is a great place for a study session, though, it is very loud. If you are not bothered by noise, it is the perfect place to crack down on some homework. Caffè Nero is also an optimal place to work on a group project as there is loud music and noise from the many conversations going on, so group members would not have to whisper to eachother while sharing ideas. However, for those who work best in silent areas, the Darien Library would be a better option. Caffè Nero has proven itself to be a wonderful new cafe, and its location is an added plus. Located in the heart of Darien, people can stop for a coffee before catching a movie at the Darien Playhouse or after some downtown shopping. 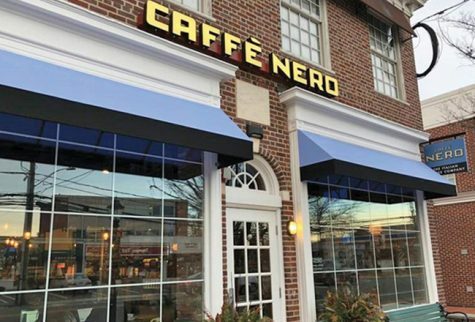 Caffè Nero is also close to the Darien Library, so students can grab a small snack and head over to the library if they decide to study there instead. Open until nine at night, DHS students can head there afterschool or over the weekend to catch up on assignments. As the end of the quarter and SATs approach, Caffè Nero is the perfect place to crack down on studying, or the optimal place for a study break.